If memory serves me right, when the structure was in the final stage of 15 minutes of repairing, I could dock and take control, but I could not fit it and the Shield and Armour were at zero. At least that would explain the above screen capture. Finally, without fanfare, cheers, or anyone else seemingly noticing, 24 hours and 30 minutes after first dropping the Azbel into space, it was anchored and online. I started by moving in the fittings, consumables and fuel. 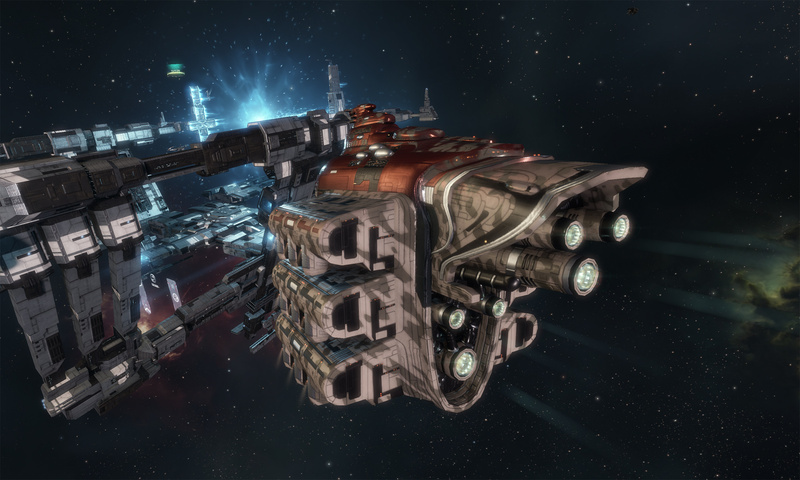 Aside from remembering to take control of the Azbel first, you fit it much the same way as you fit your ships. I think that approach works well. Taking control also gives you access to the Ammo Hold, Fighter Bay and Fuel Bay. 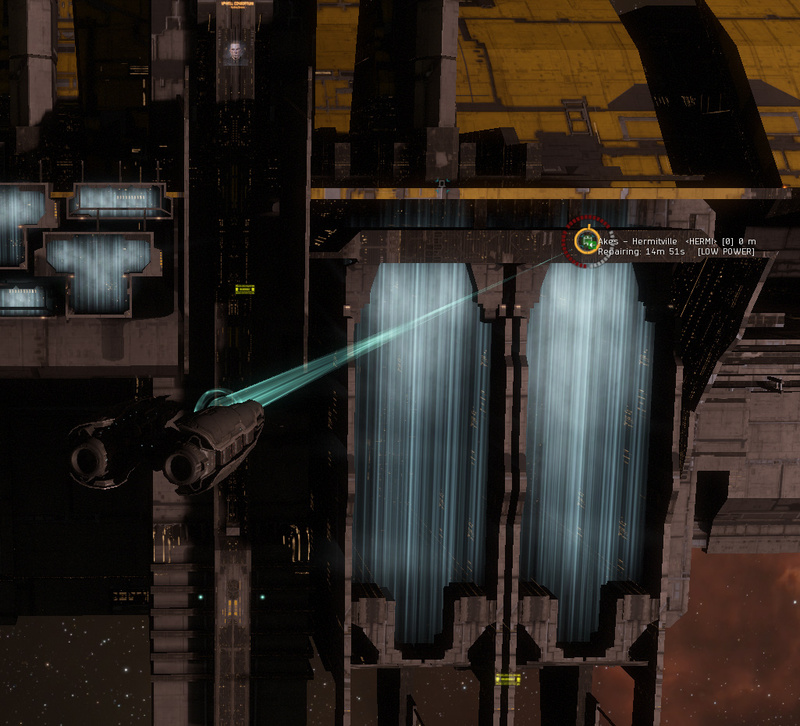 So, this was the result as I first undocked from my Azbel once it had an online service and was in powered mode. 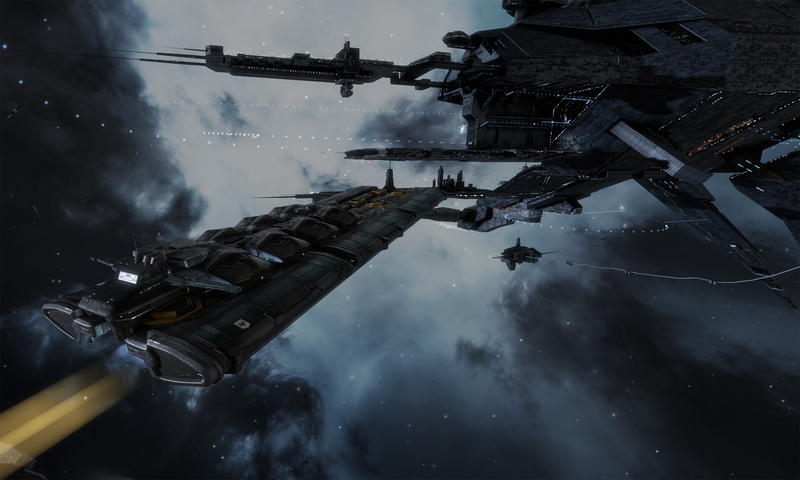 So here is Hermitville in all its glory, with the undock alignment working as hoped. Goal complete, much to my own amusement. The odd thing about this process is I know that the level of preparation I put into could all be ignored. Assuming you have the ISK, you could just blindly go about it without a care in the world and trust in luck to carry you through to success. That doesn’t seem like as much fun to me. Now just one last image to finish off this series. I’ve had a short play around with the structure fighters. Interesting. I’m not sure yet how to send them off to a random area of space to loiter. Actually, I’m not sure about lots of things with them. Another goal to work towards. 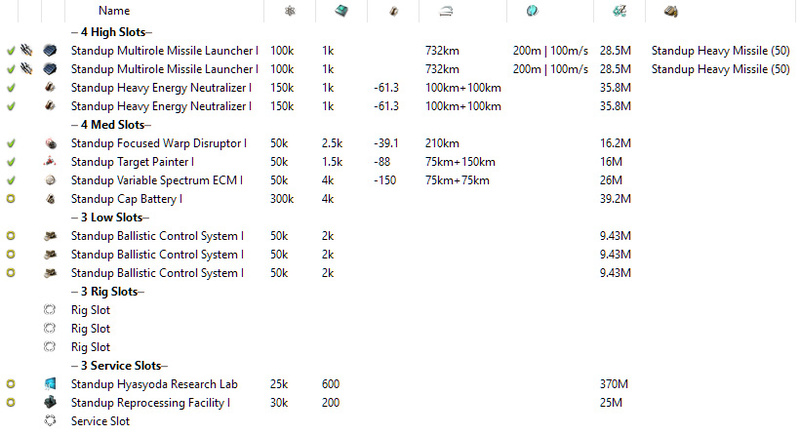 While I had a basic idea, I do some research into what I need to do to get the Azbel operational. Once in place, the only way this thing is likely to be removed would be via an explosion, so I need to get it right. There were four items to tick off. It takes 2 minutes to work out the fit for the Azbel. I use the Astrahus fit, minus a low slot (one less Standup Ballistic Control System) and minus a mid-slot (dropping the Standup Cap Battery). 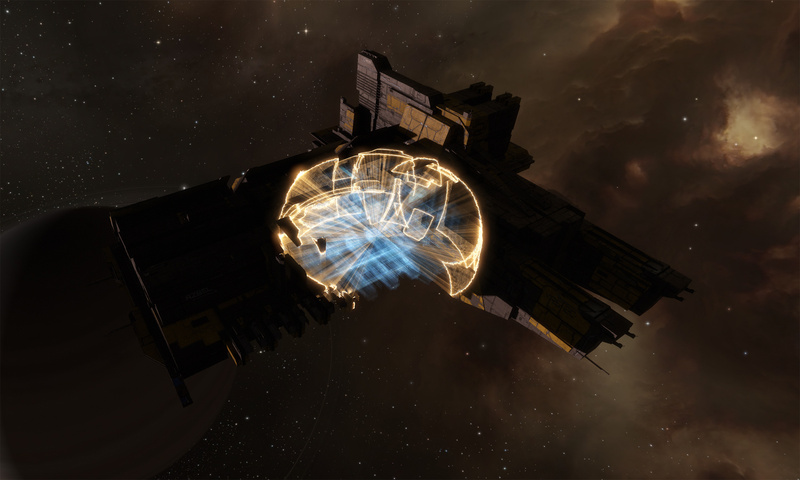 The effort put into understanding the fitting options for the Raitaru pays off. I already have everything required for the fit, plus some ammo, fighters and starting fuel. I had gathered all that for the Astrahus. I spend another billion ISK to get the fuel supply to cover one year, paying 5% over Jita prices but picking it up locally. The settings for a structure are applied through a Profile. This covers docking rights, who can control it, Corporation Offices, Clone Bays, Industry Tasks, Market, Navigation and Reprocessing. A structure can have one profile, but you can use the same profile for multiple structures. Most of the setting have two attributes – who can access, and how much it costs. I seem to remember back when I lived in Providence that Null Sec Station owners could charge people a fee to dock, based on the volume of the ship. That no longer appears to be the case. You seem to be able to configure different taxes and fees for any plausible service you can install on a structure. There is a default profile created for the corporation anchoring the structure, giving full access and zero fees to it. As my corporation is only made up of me and my alts, this will suffice for now. An access list is a collection of characters, corporations and alliances, which you can then associate with individual attributes of a Structure profile. Again, there is a default Access list just covering my own Corporation. Technically I am good to go with the default access list and default structure profile. Initially I don’t plan on allowing anyone else to access the structure. This is because the only service it will provide is a Research Lab, and I want to be able to offline that whenever I need too without inconveniencing any one else. I did have a look around at how to set up access lists, but found one apparent glaring issue. You can add an “Everyone” option. You can add Alliances – which will supersede the Everyone settings. You can add Corporations – which will supersede the Alliance settings. You can add Characters – which will supersede the Corporation settings. 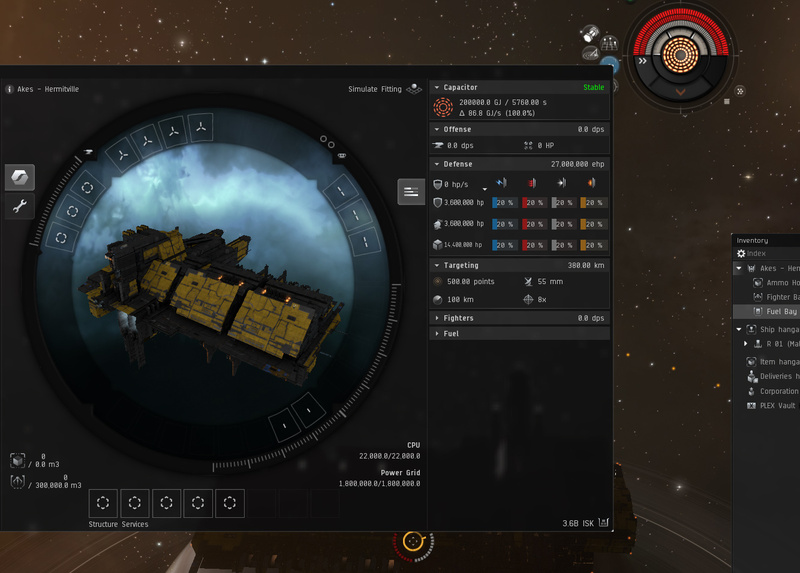 That way you can set docking and taxes at an individual level, which may be different to their Corporation or Alliance. What seems to be missing – is you can not make any of these settings based on Corporation Standings. If you only allow Blues to dock, and you give a new corporation positive standing, you will also need to go and separately update your Access Lists. I’m not a fan of that. 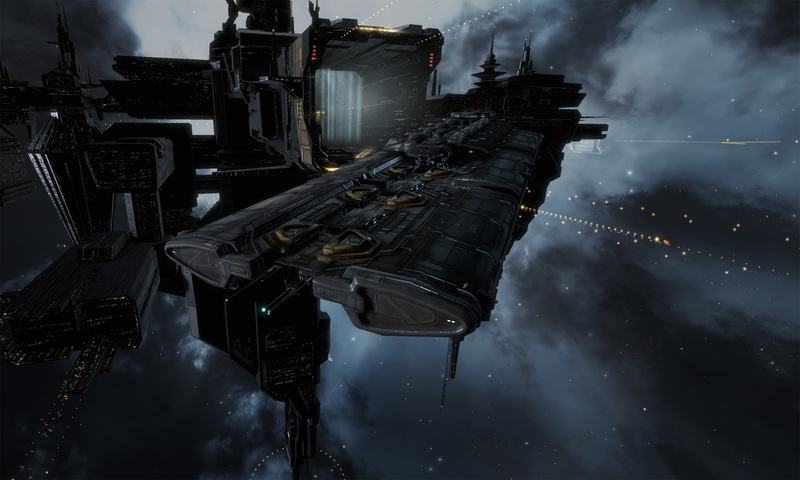 If possible, I wanted to align the undocking bays of my Azbel with the main station I use in Akes and the two Star Gates. 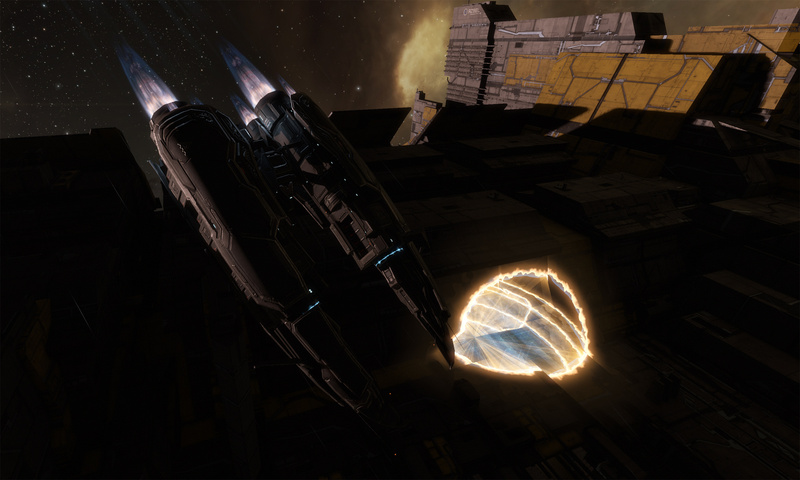 This would make it easy to undock and quickly warp away. Looking carefully at the system map I could see this would be possible from Planet V.
There was already a low power Raitaru anchored in that position, and no other moons or planets aligned behind it. I checked all my available bookmarks and the Cosmic Signatures in system in case there was a better option, but Planet V seemed to be it. 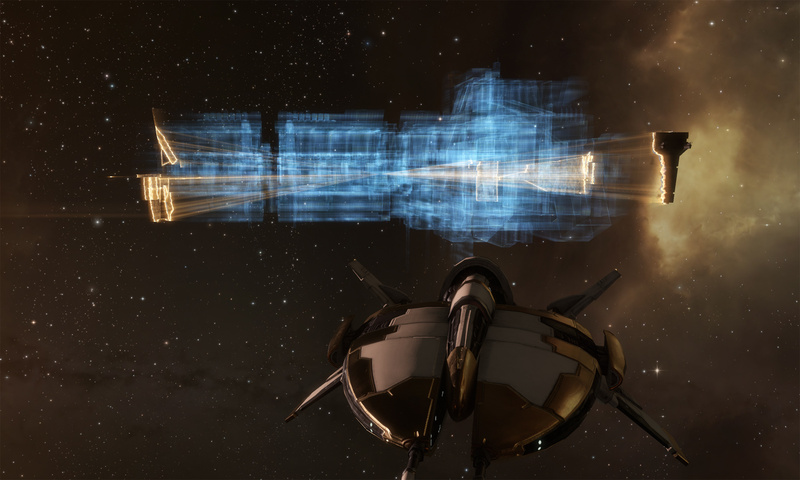 I could just fly 1,000km from the Raitaru and anchor mine, but there was a problem. The planet was one of the amorphous blobs which had no features when you were warped at 0. It was just a brown circle. I didn’t want that as the background to my Structure. So – using a cap stable Interceptor I had handy, I undocked from my main station, aligned myself between the station undock struts and above Planet V, and flew off into space for many (AKF) hours. I went out of the house, came back, went out again, and waited until I had flown over the planet, and far enough away that it stopped being a brown blob and had some rings and surface details to see. There I bookmarked the location where I would anchor the Azbel. I’m almost there – I have the Azbel loaded in a Freighter and I am ready to go. 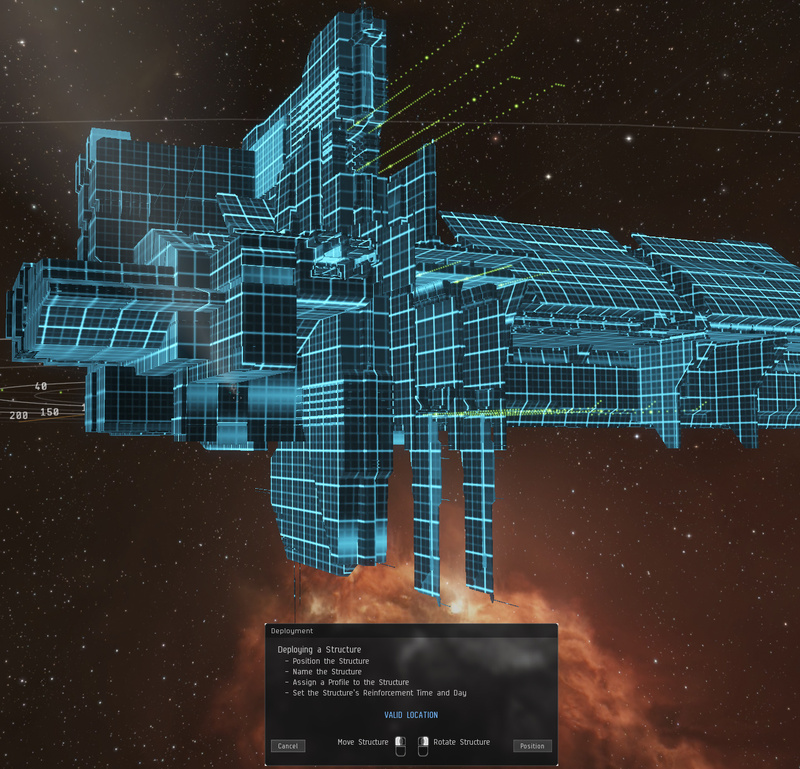 When you anchor a structure in High Sec it takes 24 hours and 30 minutes. There is a tiny window of opportunity for someone to War Dec you in the first 30 minutes and be able to attack the unfitted and repairing structure at the end of the deployment. The chances are slim – but I do some due diligence on the pilots currently in local. There are several members of one Corp that I don’t see here often. A quick check shows they never initiate a War Dec, BUT – they have one pending against them that will go live shortly. I look at the Aggressors – who are familiar to me. It is a group that often War Dec’s corporations in the region, and does structure take downs. The next pilot I look at in local is the CEO of the attackers. Better to be safe than sorry, so I wait another hour or so before everyone clears out and I can undock. If I was going to anchor an Azbel, how would I go about it? I had no desire to gather the resources and build one for myself – it would take too long. Instead I checked the contracts and EVEMarketer to see where I could buy one. 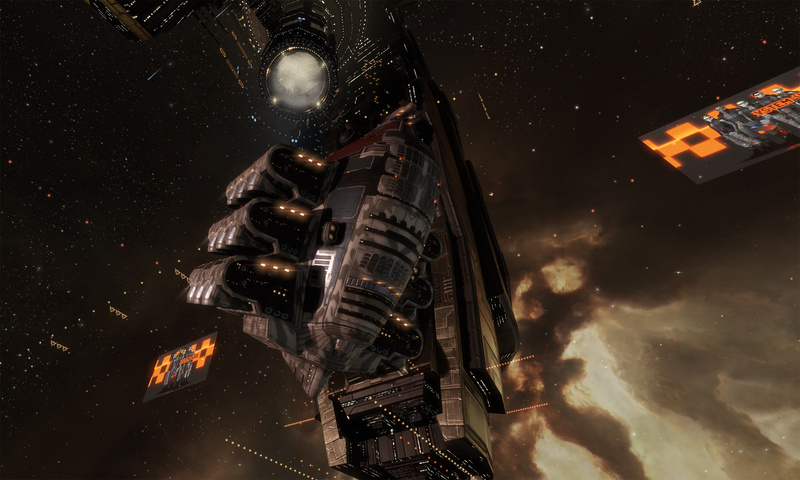 The cheapest by a margin too big to ignore were in Jita, at around 3.5B ISK. 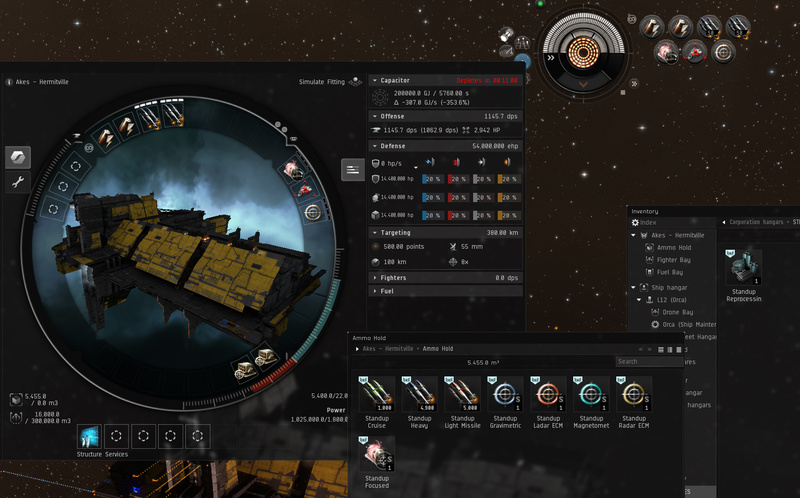 A packaged Azbel is 80,000m3, which means I must use either a Freighter, or Orca set up to carry Cargo to move it. 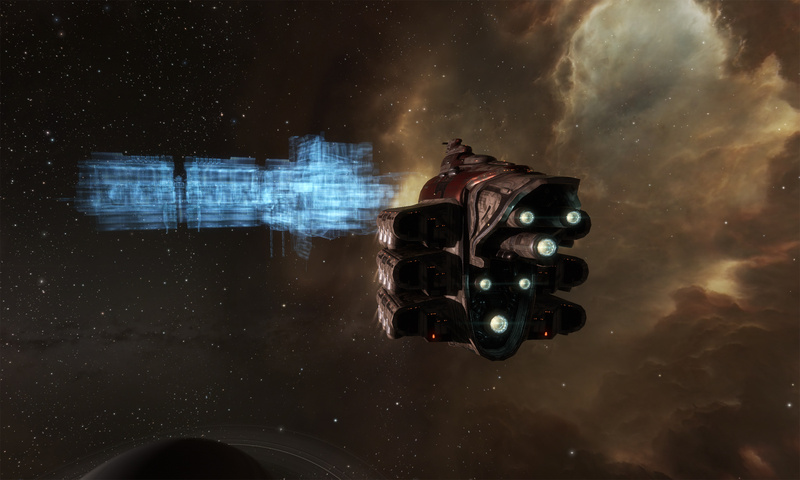 Carrying 3.5B ISK using either option might make me a target for suicide ganking, and there wasn’t a great deal I could do solo to mitigate that. I pondered that for a little while – do I move during the quietest times (I see Gankers at any hour), do I wrap it in a courier contract for myself or others, do I use a webbing Alt and just make a run for it? 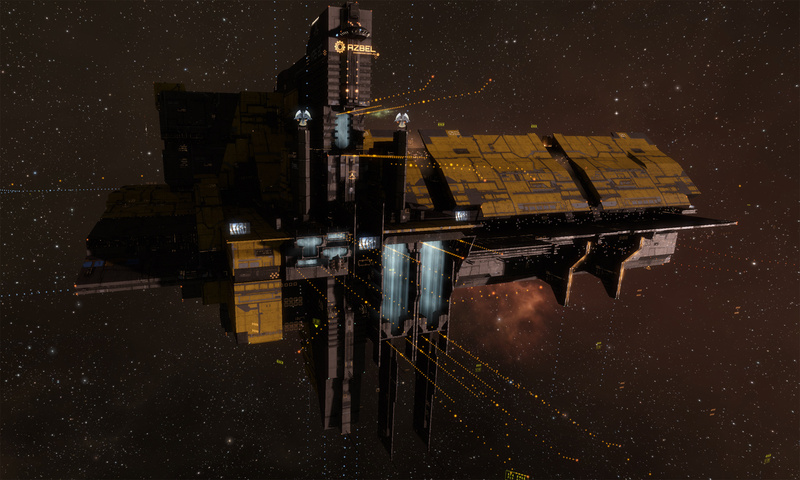 Maybe I could build one locally for myself after all – but from components purchased and hauled in from Jita? I checked the available Azbel BPC on Contract and worked out the cost of the parts and build fees. 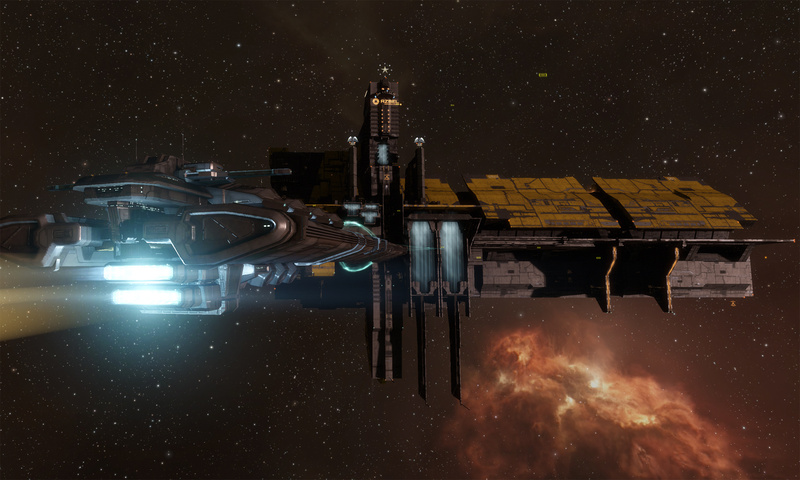 It was roughly 3.5B ISK plus a week to manufacture. So that is what I did. I purchased a BPC and all the main parts and hauled them in safe(ish) volumes and values to Akes. I thought I was done with Hauling for a while – at least I got to enjoy looking at one of my favourite skins – Spirit. After what seemed like an inordinate effort across several days, I had safely gathered all the components for my Azbel. And (a week later) delivering it when finished. A suitable solution to the risk, or the burden of the risk adverse? Whatever – I now had my Azbel. Logic won through, and I decided the structure I would anchor would be an Astrahus. 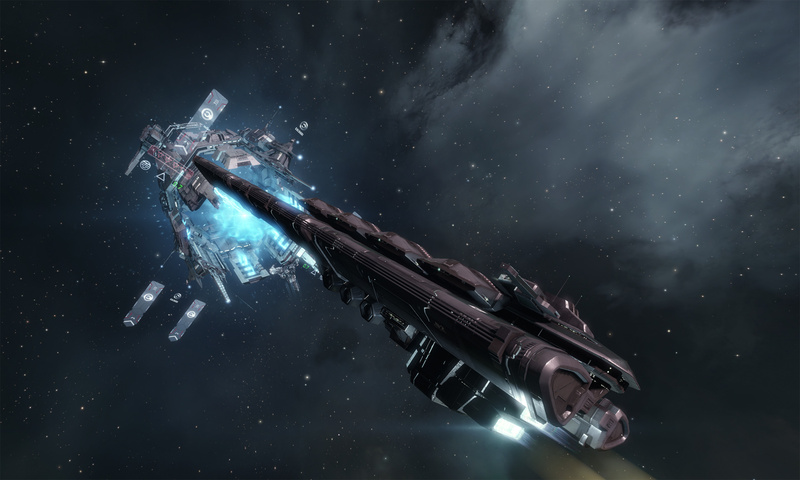 It would be better able to defend itself than a Raitaru, and it had access to Structure Fighters for me to have a play around with. 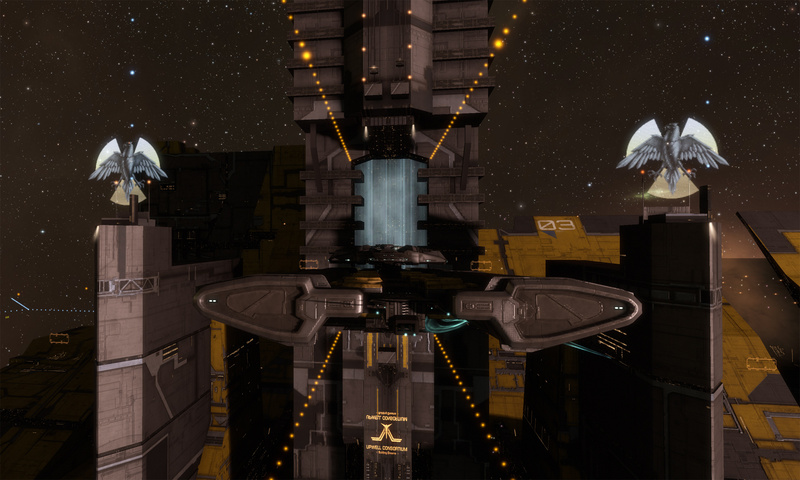 Configuring it for High Sec was easy – it was just an expanded version of how I would have fitted a Raitaru. As I think I remarked, if I receive a War Dec the plan is to immediately offline and remove the Hyasyoda Research Lab, and online the much cheaper Reprocessing Facility instead. That would keep the Astrahus in Full Power Mode while lowering the cost of losing it. It has much more interesting DPS – close to 3,000 depending on the mix of Fighters used, and a couple extra mid slots for ECM (to try and disrupt any attacker’s logistics chain) and a Cap Battery. My Astrahus build is still ongoing, so I purchased all the fit and the structure itself off the market. The Astrahus I spent a little more on and got one closer to home, to make it a little less risky to move. 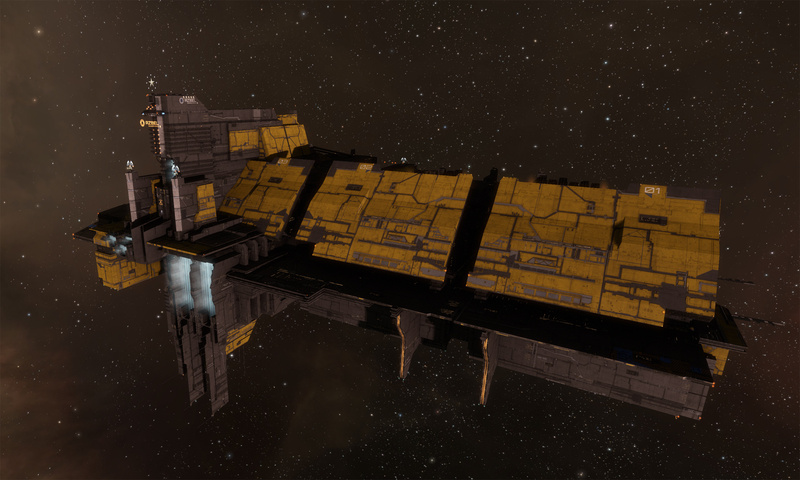 Most of the rest of the setup was purchased in Jita, and it was all there ready to haul when Burn Jita 2019 kicked off. Not only did that mean I had to put my plans on hold and wait out the weekend, it seemed to make the subsequent week more dangerous to haul as extra Gankers were hanging around. The Fittings, Fighters, Ammo and Fuel took up a very large amount of cargo space. I moved it using a mix of my Obelisk Freighter, an Orca Industrial Command Ship, and the Impel and Bustard Deep Space Transport Ships – hundreds of jumps over many round trips, to where my POCO are situated. Given the state of the Space lanes, I had to carry lower volumes and values than usual and revisited the fittings I was using on all my ships to ensure I was balanced more towards tank. The process was completed without a hitch, although I felt rather conspicuous moving through gate camp after gate came given the type of cargo I was carrying, and what it inferred. 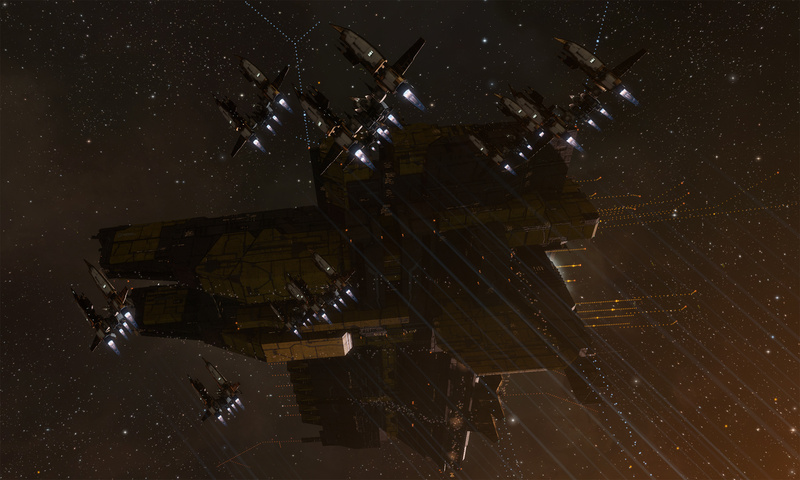 Many of those suicide ganking camps were by organisations I know regularly also take down Hi-Sec Structures. I may come to pay for that down the track. In the end I had a Corporate hanger full of everything I needed to anchor, setup, arm and fuel my Astrahus. There is sat for a day. Then another day. Then another. In the end I had to admit to myself, logic is not the be all and end all. I really wanted to anchor an Azbel instead. It would be faster and cheaper to use for researching BPO, cheaper to fuel the research lab, and have a bit more tank. Mostly however it seemed cooler. For some years now my choice of Deep Space Transport ship has been the Occator. 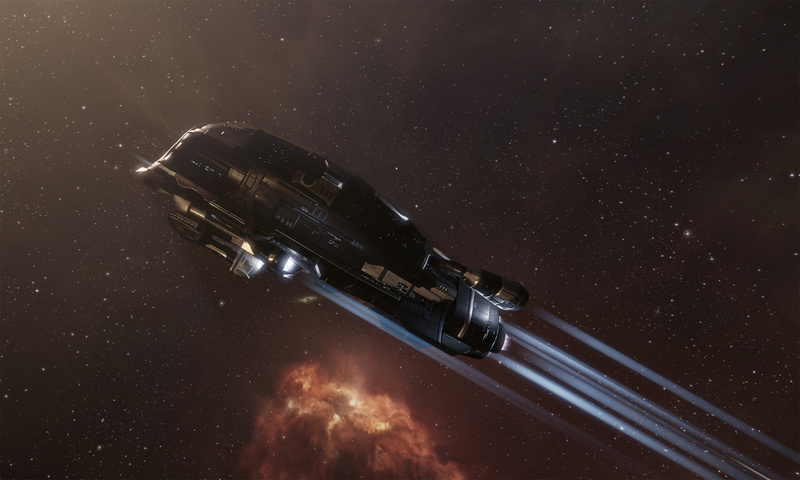 I don’t think there was any rationale to that decision, aside the fact most of my older Characters had Gallente Industrial V.
For the last couple weeks I have been in space doing a great deal of hauling. I took the opportunity while manually warping from gate to gate to review fittings for the Impel, Bustard, Occator and Mastodon. There were a few ground rules I followed.
. 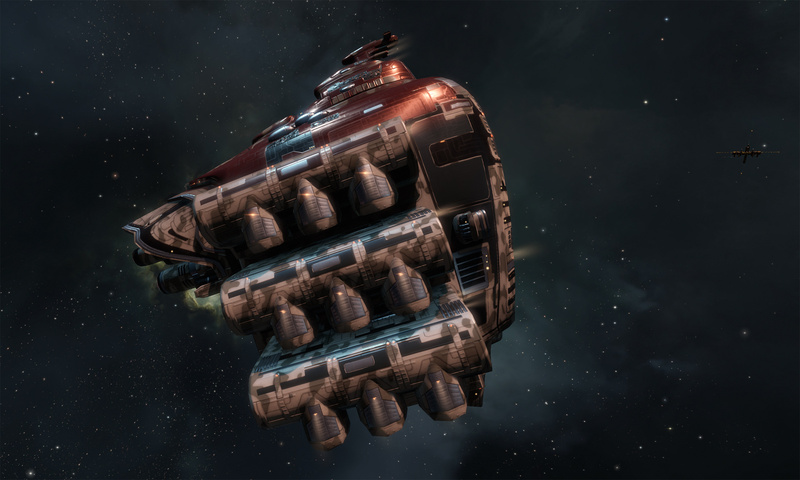 I prefer a passive tank on my haulers. Yes – you can eke out more tank with overheated active modules, but they also require attention, no lag, and no panic.
. I want to keep the value of the fitting down. Your fitting in effect gets added to the value of your cargo.
. 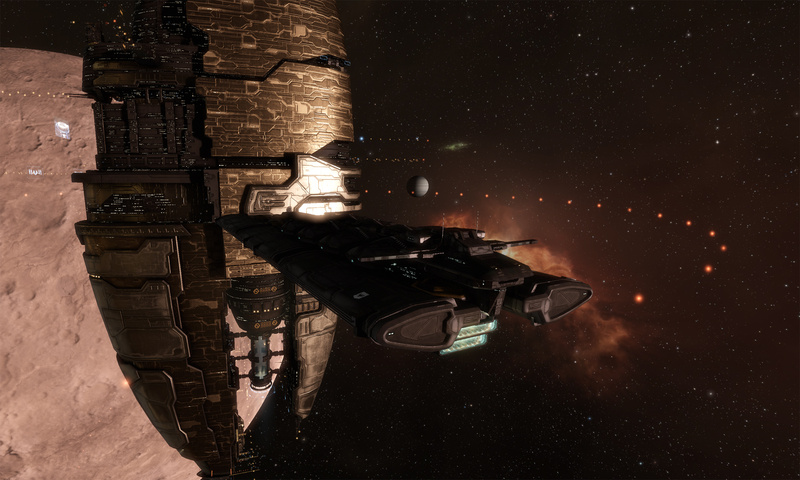 There are a large number of Deep Space Transports that die with 3 or more Warp Core Stabilizers fitted. If you are being ganked, WCS don’t appear to help you. It turned out I liked the Impel more, so I now own three of them and the Occator’s have been retired. I’ve settled on this fit. 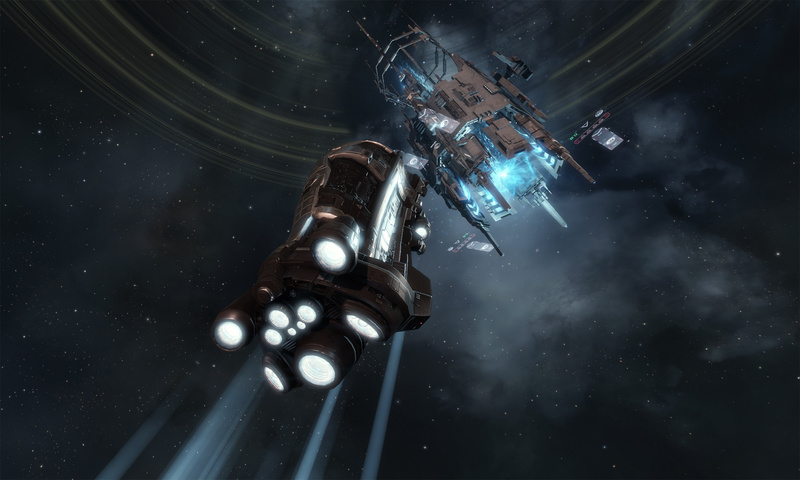 The Corpum C-type modules are excellent value, and if you ignore the rigs (which won’t drop) the fit is only around 14M ISK.